We’ve seen enough of The Witcher 3: Wild Hunt to call it a beautiful game, and we’ve heard its world is huge. While we got to see a new trailer just before E3, Wild Hunt was also featured at Microsoft’s E3 press conference with a new gameplay video. The same demo shown here was played through differently in a later Twitch stream, as well, so you may have seen a different version. 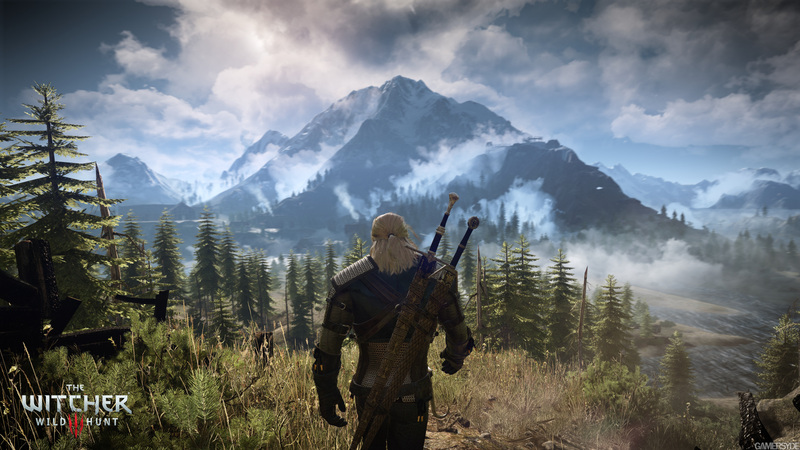 Regardless of which version you watch, you might be wondering how long you’ll get to immerse yourself in the Witcher’s world. 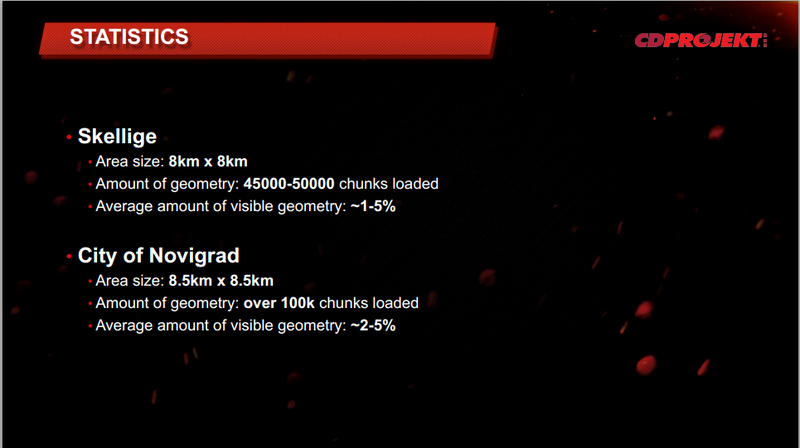 Well, according to CD Projekt RED, you’ll have 100 hours worth of gameplay…if you play really fast. Senior Level Designer Peter Gelencser described 100 hours as a “speedrun.” We aren’t sure if he means that in the traditional sense of a speedrun, where you complete only the required tasks and attempt to get through the game as fast as possible, or if he’s imagining someone completing all the side content and just doing it very quickly. 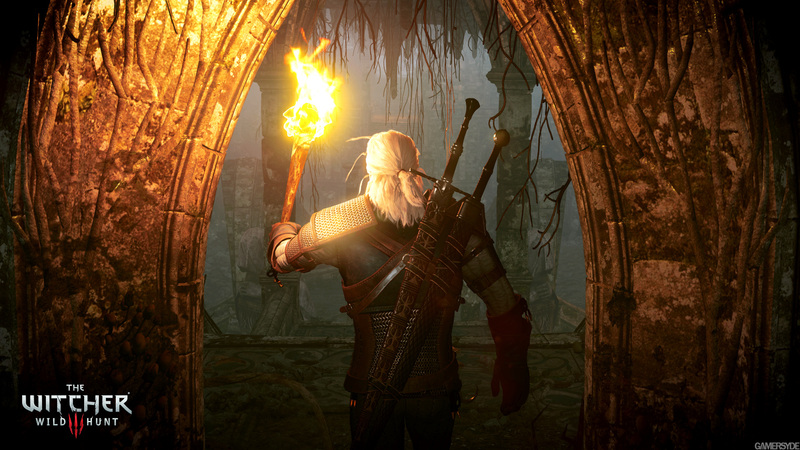 Either way, The Witcher 3 will have a lot of content. The Witcher 3: Wild Hunt looks like it will be a stand-out RPG. Are you satisfied with what you’ve seen? What questions and concerns do you still have? 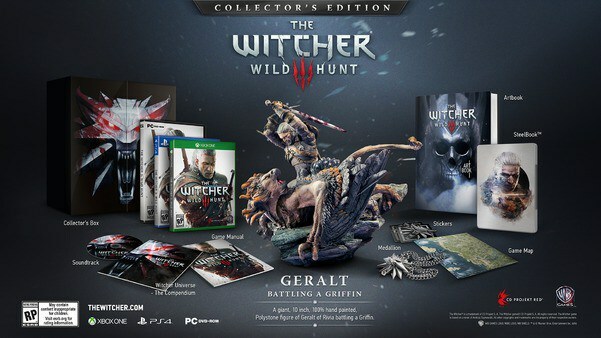 We thought we’d be done talking about The Witcher 3: Wild Hunt until E3 after CD Projekt RED revealed the Collector’s Edition and a new trailer yesterday, but something extra was revealed yesterday without us even realizing it. A user on Reddit discovered that one of the final frames of the trailer contained a secret message, and quite a lengthy one at that. The transcript may not be 100% accurate, and the dashes near the end indicate words that the user couldn’t make out. “Today you got a look at the third trailer for The Witcher 3: Wild Hunt. We hope you liked it! “More importantly we just showed you some of the main characters. “Geralt’s close friends and some of the last Witchers remaining in the world – Vesemir, Eskel and Lambert – will play a big part in the game, as well their famous fortress Kaer Morhen. “You also got a glimpse of the renowned bard Dandelion and the sorceress Triss Merigold. “Emhyr var Emreis, Emperor of Nilfgaard, the most powerful man in the world of The Witcher, also made an appearance. Recognize his voice? “And then there was Ciri! “By the way, if you’re new to the series, don’t worry, the game will introduce you into all you need to know, and you’ll start loving (and hating!) characters in no time! “You also got to hear more music from the game. This particular track was composed by Marcin Przybyłowicz & Percival. We’d love to hear your feedback. Fire away in the comments or on the game’s Facebook/Twitter/forums. Remember, we’re always listening, even if we’re not getting back to you. “PS. If you’re still waiting for more (you are, right? ), please be patient. We’re just warming up. “PPS. Have you seen the Collector’s Edition video? What do you think about the figure? Several things stand out in this message. First, some of the returning characters are confirmed, so this should lay to rest the questions about whether or not that was Ciri in the trailer. 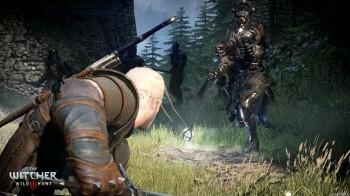 And if none of that means anything to you, the message also suggests that Wild Hunt’s story will be accessible to players who aren’t familiar with the previous games or the novels. 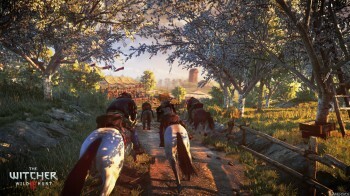 The gameplay elements mentioned here–horseback riding, crossbows, water sections–also provide interesting possibilities. It’s pretty cool that CD Projekt RED went through the trouble of hiding this information in the trailer. Apparently they know that some fans will analyze trailers frame by frame. 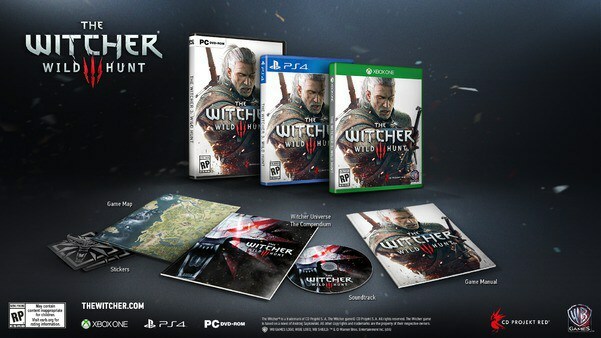 Are you excited for The Witcher 3: Wild Hunt? CD Projekt RED has two major projects in the works right now—Cyberpunk 2077 and The Witcher 3: Wild Hunt. 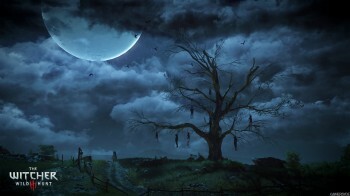 As we previously reported, The Witcher 3’s release date has been pushed back to February 2015. However, this doesn’t mean their work on it is slowing down. 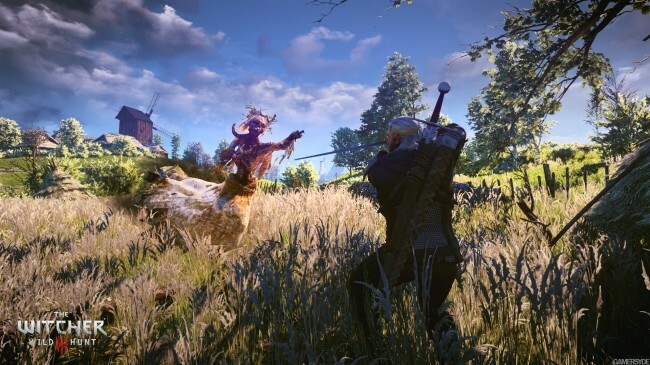 On the contrary, the company reports that it has in fact shifted some Cyberpunk 2077 developers to work on the Witcher 3, which suggest development might actually speed up. 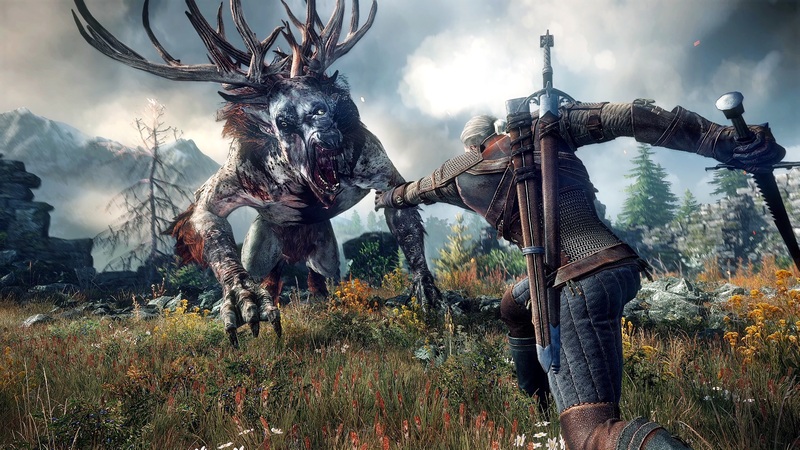 We don’t think this means a 2014 release after all, however—CD Projekt RED believes the delay is the best thing for the game, and this is probably in line with their plans. Now, if you’re looking forward to Cyberpunk 2077, don’t worry. The company also made it clear that it hasn’t slowed the development of that project, either. Are you looking forward to one or both of CD Projekt RED’s upcoming titles?